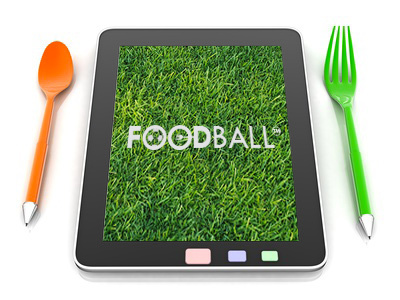 Foodball is a crossmedia format of edutainment. Its goal is educating children to eat well and live healthy using the metaphor of football and sport to convey the concept so addictive and deep. Educate to proper nutrition and health is an issue on which to focus because of it impacts on physical and mental development of children and bacause it contributes significantly to create the conditions for a healthy and balanced life. Modern society has radically changed our way of life, the spread of new models has influenced the eating habits of families, which too often sacrifice the quality and variety of food to privilege different needs. In this context, int’s not a coincidence the growning number of overweight and obese subjects among children. Foodball wants to talk about this important topic with new languages, technics and media. In 2015 the Foodball team organized the Lab @School in partnership with University of Roma Tre using Gamification and Edutainment technics. The second initiative which promote the format was the theater show “Mediterranea Foodball Club”, which was the first initiative which promote the format. The show was entirely produced by the Teatro di Roma and was staged at the prestigious Teatro Argentina in Rome from 21 November to 20 December 2015. The show is an important opportunity to engage not just children, but also parents and teachers. Through the awarenes gained with the show, Foodball want to develop the FOODBALL Game. the Foodball Web. An open content database in which everyone gives his own contribute creating and inserting informations and data about food products, proper nutrition, nutritional values and more. the Foodball App. An application game, based on the model of gamification, in which children play while learn the rules of eating well: the child chooses food products that become foodball players and creates a card with graphics, scores, place of origin and seasonality. At the end, he creates his own Foodball Club, which has to respect the rules of eating well, laid down beeing in Italy by the Mediterranean diet. We are at the financing stage and looking for fund to develop the format. By contributing to our crowdfunding initiatives (Indiegogo, DeRev). You can donate how much as you want. All contributors will see their name on “The Foodball hall of fame”. By making some noise about our project. By sharing the project with all your friends, neighbours, relatives and colleagues. Play foodball and learn to eat well and live healthy!